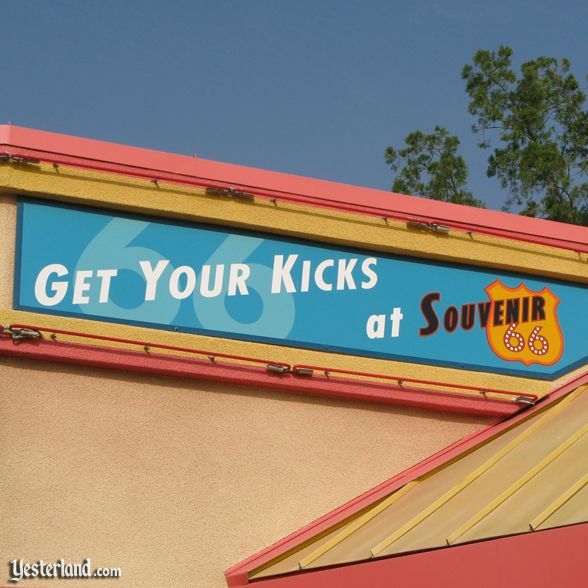 Two classic neon signs like this help you find Souvenir 66. 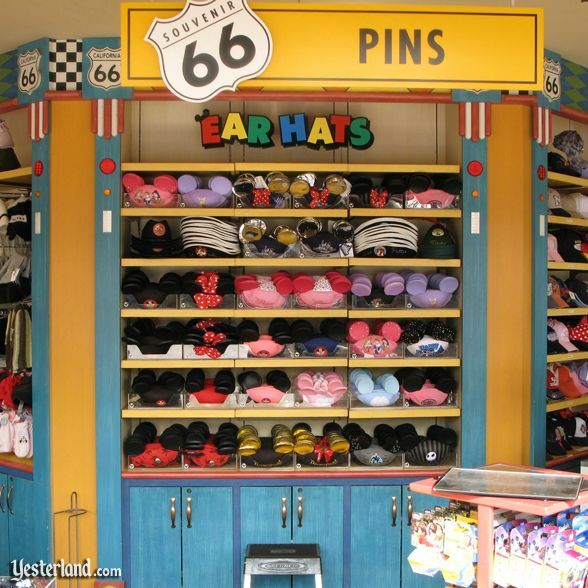 Well, it doesnt really look much like a “roadside retail shop.” It looks more like a shop at an amusement pier. Thats okay because this shop is part of the Paradise Pier amusement park section of the park. Sorry. The observation tower isnt really an observation tower. Souvenir 66 is named after U.S. Route 66, arguably still the most famous highway in the United States—even though Route 66 ceased to be an official part of the U.S. highway system in 1985. Lets see what kind of “travel and tourism-themed gifts, sundries and collectibles” we can find here. Buy a hat for yourself or your child. You may prefer your hat to have ears. Would you like your name embroidered on your Mouse Ear Hat? Just ask, and theyll embroider your actual name for free. 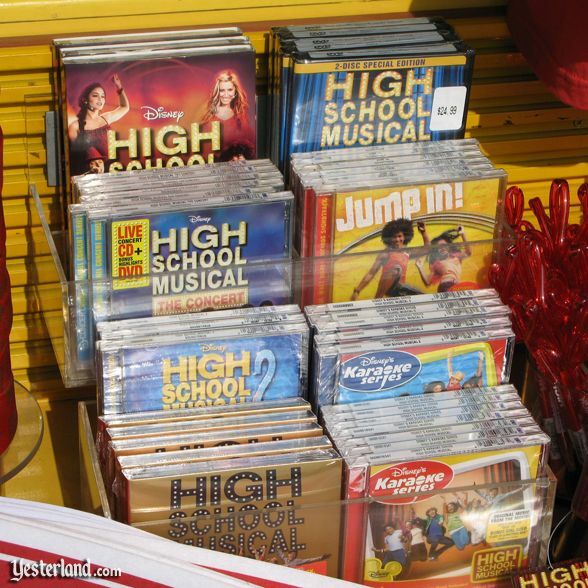 Take home a High School Musical and High School Musical 2 CD. Go Wildcats! After you catch a live performance of High School Musical 2: Schools Out! nearby, you might want to buy a CD. Youre in luck. Just head back to Souvenir 66. Theres plenty of other High School Musical 2 merchandise. If the Dream Squad hasnt made you the recipient of a “Year of a Million Dreams” Mouse Ear Hat, you can buy something similar here—but not the exact hat that you can only win. Its the “Year of a Million Dreams” here. 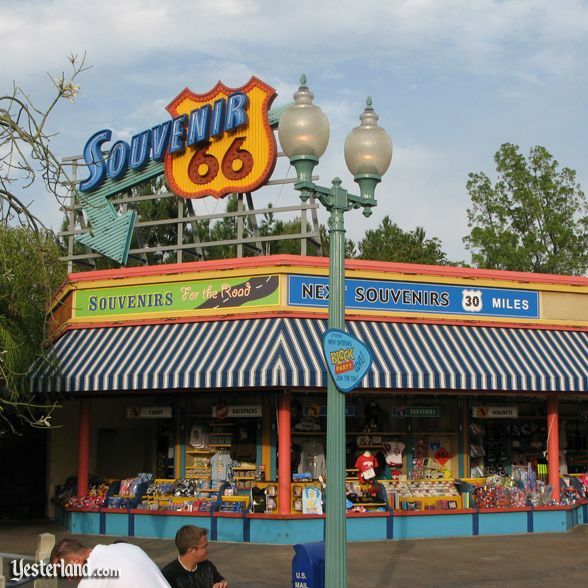 Souvenir 66 was one of the original features of Disneys California Adventure when the park opened in February 2001. Although supposedly themed to look like a “roadside retail shop,” it failed to evoke nostalgia for real roadside shops of the 1930s, 1940s, or 1950s. Not only were the building and its signs lacking in historic details or graphics of a particular period, the location failed to look like the side of a road. 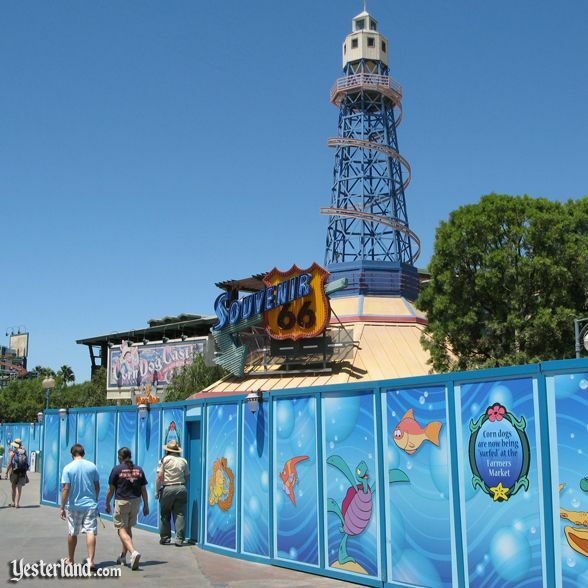 When summer 2009 began, a construction wall went up in front of Souvenir 66. Two of its neighbors, Dinosaur Jacks Sunglass Shack and the theater for Golden Dreams were demolished. But not Souvenir 66. 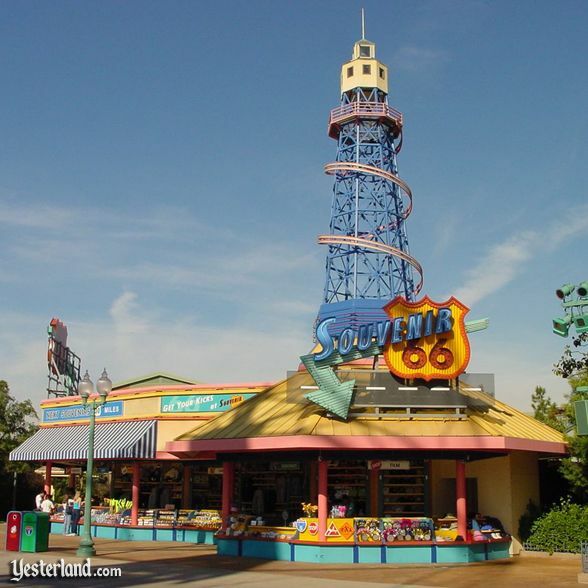 Like its neighbor Corn Dog Castle, Souvenir 66 was eventually reincarnated. 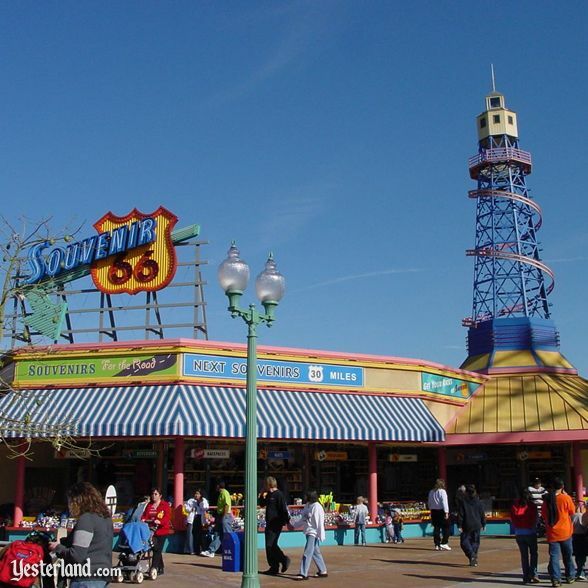 The former Souvenir 66 reopened in May 2011 as Seaside Souvenirs. The pretense of being on Route 66 is gone. Its still the same structure, complete with the old tower. 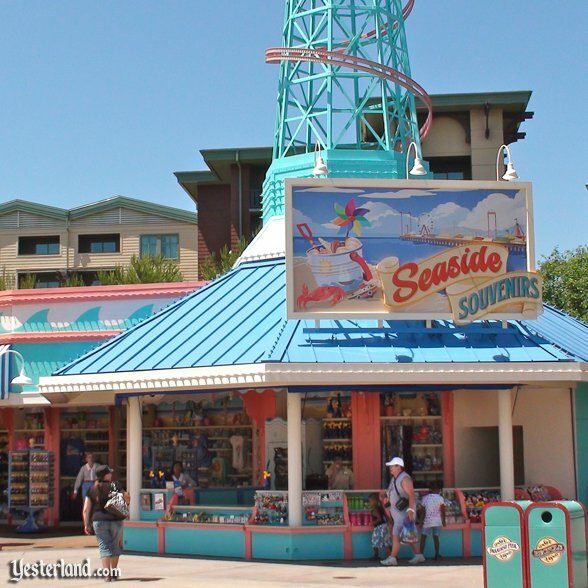 But Seaside Souvenirs—with its new name, new paint scheme, and new signage—fits in better with the new vision of Paradise Pier. By the way, free basic embroidery of names on hats is now a thing of the past. On August 2, 2009, the Disneyland Resort changed basic embroidery from a free service to a $3 add-on. 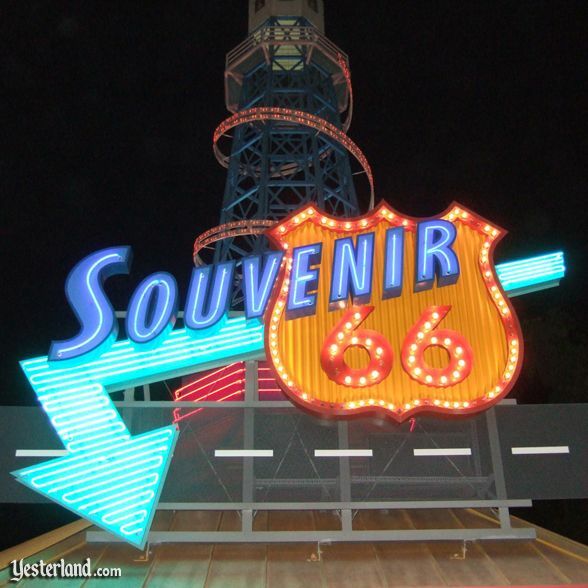 Photo of Souvenir 66 sign at night: 2008 by Allen Huffman. Photo of Souvenir 66 showing left side: 2001 by Allen Huffman. Photo of Souvenir 66 showing right side (tower side): 2002 by Allen Huffman. Photo of Souvenir 66 with street light: 2007 by Werner Weiss. 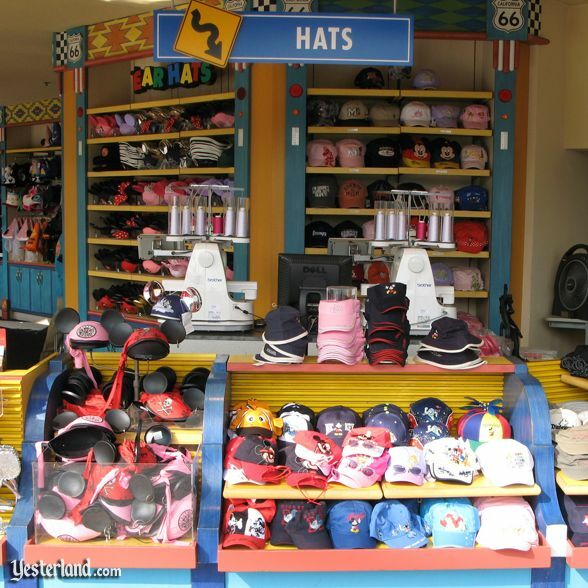 Photo of hats at Souvenir 66: 2007 by Werner Weiss. Photo of mouse ear hats at Souvenir 66: 2007 by Werner Weiss. Photo of CD rack at Souvenir 66: 2007 by Werner Weiss. 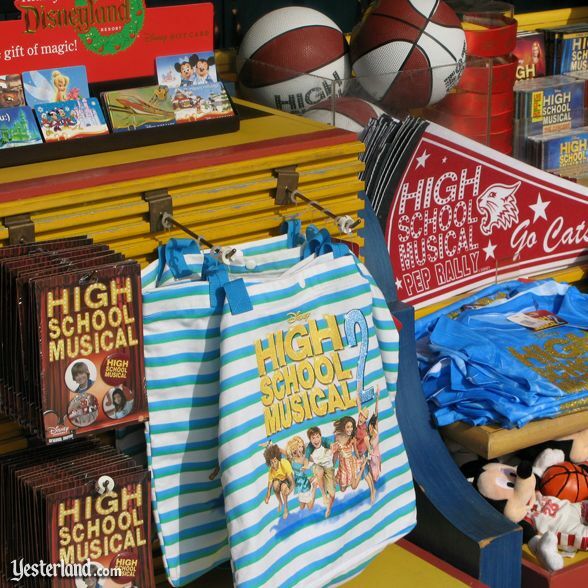 Photo of High School Musical 2 merchandise at Souvenir 66: 2007 by Werner Weiss. 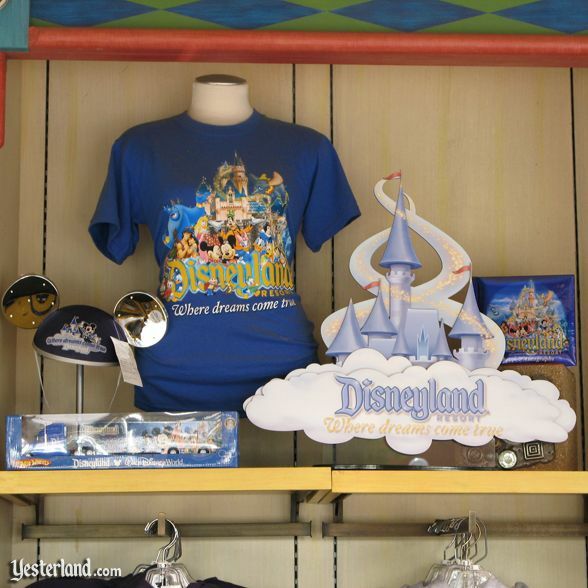 Photo of “Year of a Million Dreams” merchandise at Souvenir 66: 2007 by Werner Weiss. Photo of slogan on Souvenir 66: 2007 by Werner Weiss. Photo of Souvenir 66 behind construction wall: 2009 by Werner Weiss. Photo of Seaside Souvenirs: 2011 by Chris Bales.